The Standard Model explains current understanding about the behavior of subatomic particles and interactions between them. The subatomic particles acquire mass by interacting with the Higgs field via Higgs Boson. 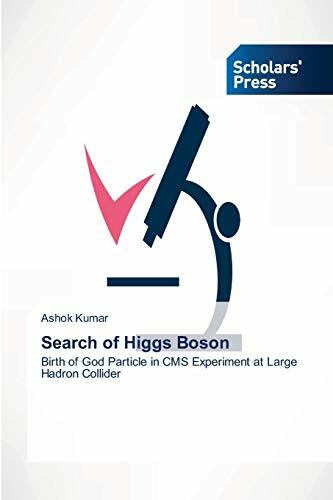 An effort in making an experiment to discover the Higgs Boson is summarized in this book. The search analysis strategy for discovering one of such particle signature is also discussed. The complete dividend of the hard work is ultimately achieved when Higgs boson was discovered. This lead to Nobel Prize in Physics in the year 2013. Dr. Kumar is involved in the CMS experiment at CERN’s Large Hadron Collider since last 12 years. He has been part of the search team for discovering Higgs Boson in the CMS experiment. He did his Masters and Ph.D. from Panjab University, Chandigarh (INDIA). He is currently working as Assistant Professor at University of Delhi, Delhi (INDIA).